At some point, you decide whether you want to stay at home and be your child’s full-time caregiver or return to full-time employment. 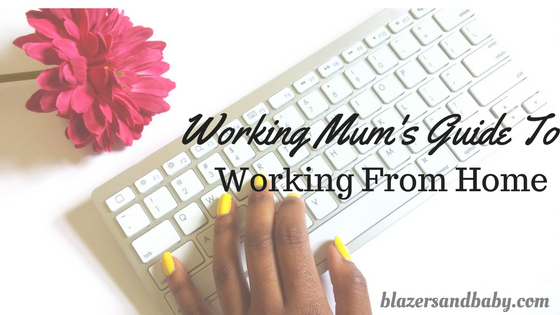 A working mum can choose to combine both by working from home. When you go off to a place of employment, your full attention can be on just the tasks you’ve been assigned. Working from home, on the other hand, is a real test in discipline and multitasking skills. 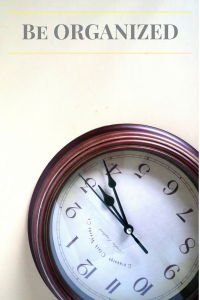 I asked Joy, an Editor and mother of a 4 year old; Atinuke, a sales team member and mother of a 9 month old; Amina, a writer and mother of a 3 and 4 year old, all fellow work-at-home mums (WAHM) to share their time management tips with me. You’ll find them useful whether you’re working from home, studying for a degree or even a stay-at-home mum. Unless running around like a headless chicken sounds like fun, you need to have a routine in place as a working mum. This is especially important if you have small kids. “I have a routine. The kids are out between 8am and 2pm and this is when I write, go out to run errands or get some much needed self-care,” Amina shares. She also states that sticking to eating and sleeping schedules ensures that her children aren’t awake when she should be resting. To this, I can totally relate. Whenever my children’s naptimes and bedtimes are compromised, everything else is thrown off. So maintaining a routine that fits perfectly with your lifestyle is absolute key. The To Do List is very much a WAHM’s best friend. Prioritising tasks is essential for getting through the day and meeting important deadlines. Any carryovers have to be the less important tasks. Joy describes her TO DO list as near-sacred and urges working mums to never waste any time alone. Complete tasks that require concentration when the children are being looked after by someone else or are at crèche/school. Think of getting a planner that details your goals. I find that having a physical book where I write and tick items off is very helpful. Attempting to store everything in my head only helped drive me crazy. Many working mums have nannies, crèches or family members that help them care for the kids while they work. This is fantastic. But don’t despair if you don’t have help. The best thing you can do in this situation is to outsource and delegate tasks. Atinuke is a strong believer in outsourcing. She says, “I try to reduce mobility by using online resources and having items delivered to my home.” She adds that she remains at home until important work tasks are complete. We get our partners involved in chores and childcare. Amina describes it as division of labour. And why not? We’re supposed to be in this together, right? Joy tells us of how she tried to do it all by herself but something always suffered until she get some help. So please, you’re not any less of a super-mum if you get help or outsource whenever you can. Can the importance of self love and care ever be overemphasized? I don’t think so. As mums we are constantly giving to others. But we must remember to pour back into ourselves so we are not running on “empty”. In order for you to be at your best at all times, know when to let go of the little things and REST. Only a physically and mentally stable mother can perform optimally. Get some quality rest! In addition to these four tips, I’d add that being relaxed and adaptable to every situation that you might find yourself in will preserve your sanity. The kids won’t always sleep when you want them to, you might not have any help or the ability to outsource and sleep might elude you for various reasons. Just keep doing your best whenever and however you can. You are not alone. Every single working mum stands in solidarity with you.